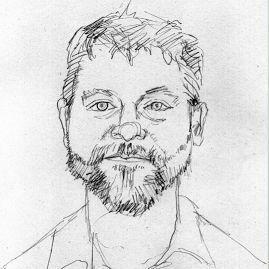 Seattleite transplanted from Tennessee; now blogging for Vox.com about energy politics. Climate hawk, deficit dove. Not a doctor. Frauhofer ISE's experimental agrophotovoltaic farm in Germany was 186% more efficient during the hot, dry summer of 2018 than the land would have been if it was devoted solely to agriculture or solar panels alone. The White House Office of Management and Budget released new guidance yesterday for federal agencies on the quality of information they use in rulemaking. Trust in media is up since last year, and the great majority of Americans trust their local news sources. Americans want outsiders, reformers, and fresh faces, not politicians with decades of baggage. The former vice president has stayed on the sideline while his record has been scrutinized. His entry is sure to reshape the Democratic primary contest. President Trump's daughter-in-law Lara Trump remarked Thursday that German Chancellor Angela Merkel's decision to allow migrants into the country was "one of the worst things that ever happened to Germany."